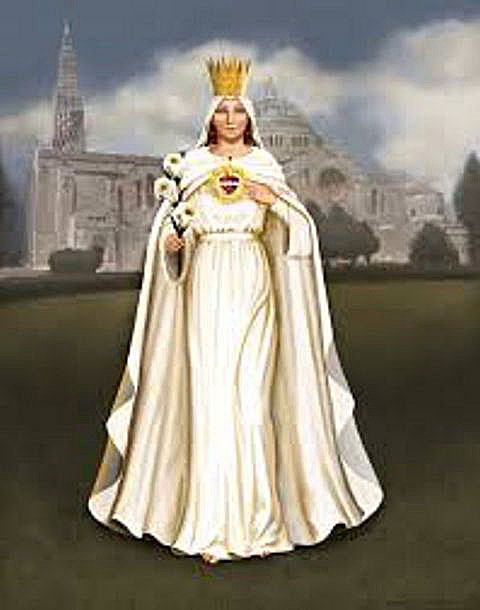 The story of Our Lady of America truly began on May 10, 1846, when one Archbishop and 22 U.S. Bishops met in Baltimore, Maryland, (the first Catholic diocese in the United States) for the 6th Provincial Council of Baltimore. On that date they petitioned Rome, Italy to have the Blessed Virgin, under the title of the Immaculate Conception, become Patroness of the United States (only 28 states at that time). 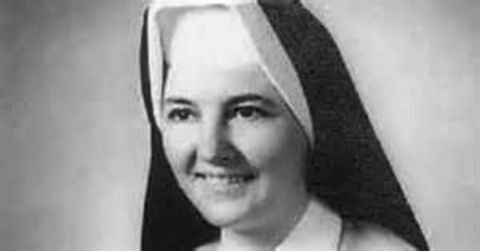 In 1847 that petition was granted by Pope Pius IX, and Mary – under the title of her Immaculate Conception – became Patroness of the U.S.A.
On September 12, 1930, at the age of 14, Mildred Neuzil entered the active religious congregation of the Sisters of the Precious Blood, a papal religious community. 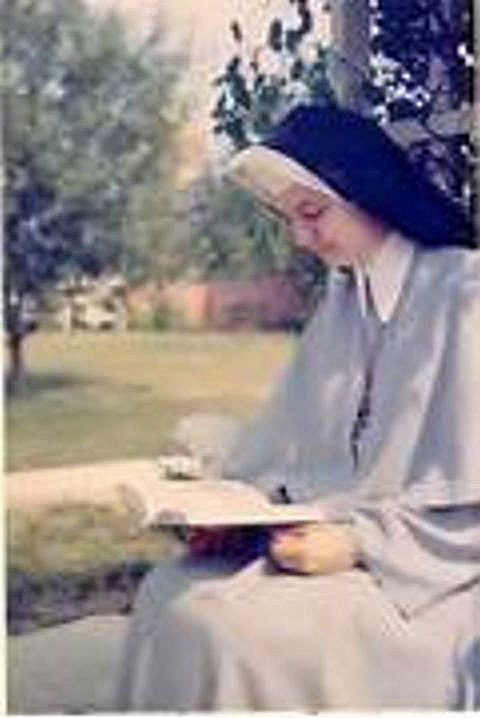 At age 17, Mildred made her first vows as a professed religious and received the name Sister Mary Ephrem. Her duties centered in Washington, D.C. until 1937 when she was sent to Cincinnati, Ohio. She began to have mystical experiences in 1938 – but assumed such things were common to all religious, so she paid very little attention to them. Her eloquent locutions from Jesus in the 1940’s led her confessor to caution her about possibly having an overactive imagination. Rev. Paul Liebold, her spiritual director from 1940—1972, instructed her to start writing these experiences in her diary. While stationed in North Dakota in 1948, the messages became more pressing. Sister began to write them down more diligently. Various priests found nothing adverse to faith or morals in the messages which indicated a theological understanding that exceeded what Sister could have learned from her courses. “My little white dove, if the world is dying, it is because it will not let Me give it life. “My Father is angry. 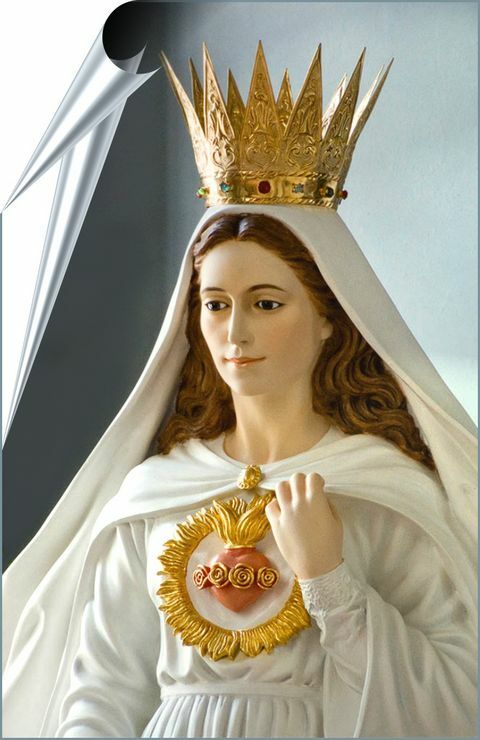 If My children will not listen to My Heart, which is the Voice of Mercy and Instruction, punishment will come swiftly, and none shall be able to stay it. The pleadings of My Heart have held back the divine justice about to descend on an ungrateful and sinful generation. Woe to the parents who set a bad example to their children! Terrible will be their judgment. I will demand a strict accounting of every soul entrusted to their care. Woe to the children who disobey and show disrespect towards their parents! ‘Honor thy father and thy mother.’ On this shall they be judged most severely. “Blessed are the homes that honor My Name and the Name of My Father. Blessed are the homes where I am loved, for there the Holy Trinity dwells. Blessed are the parents and children who have made a home for God in their hearts. Little secretary of My Heart, write these instructions for the sanctification of My people. Following the visits of these two archangels, the apparitions of Our Lady began, and the favor and the responsibility to her children in America were made very clear. 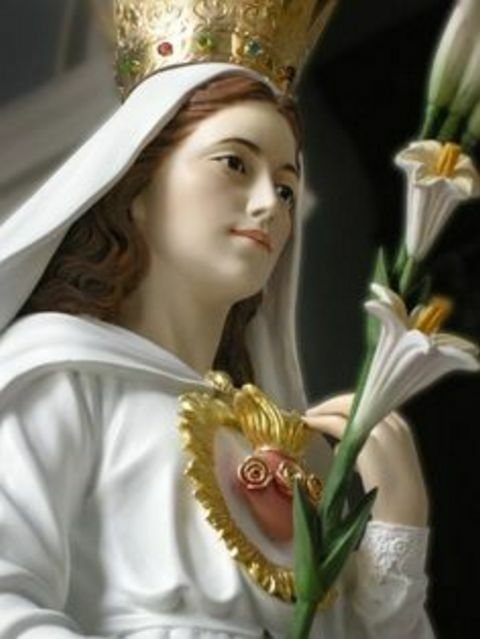 “What I noticed was the smile on Our Lady’s beautiful countenance and the lily She held in Her right hand. She wore a white veil, reaching almost to the waist, and a mantle and robe of pure white with not a single decoration of any kind. I noticed the green color of the lily stem in Her hand and the white sash or belt which She wore around Her waist. It seemed to be made of the same material as the robe. It was narrow – very narrow – and no ends of it could be seen at all. An oblong-shaped clasp or brooch held the ends of the mantle together at the top. It was all gold, as was the high and brilliant crown which She wore. 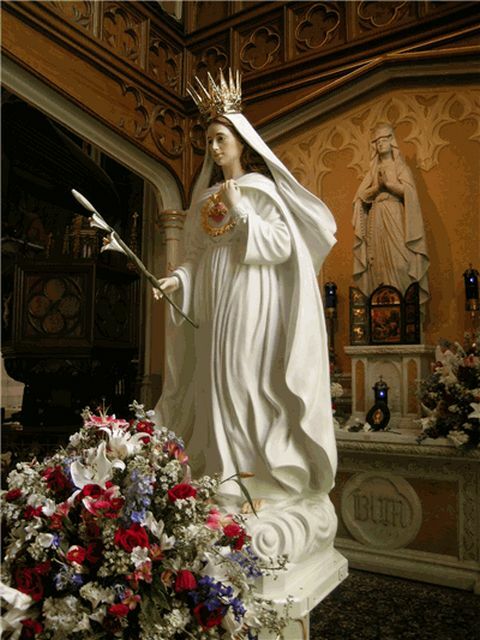 September 27, 1956: Our Lady appeared to Sister while she was in prayer. Mary was holding the world in Her hands. Tears from Her eyes were flowing down upon it. It was as though She longed to cleanse the earth from its guilt. Three years later on November 20, 1959, the Shrine of the Immaculate Conception in Washington D.C. was completed. It is the largest Catholic Church in the United States and in all of North and South America. It is the 8th largest Catholic Church in the world. 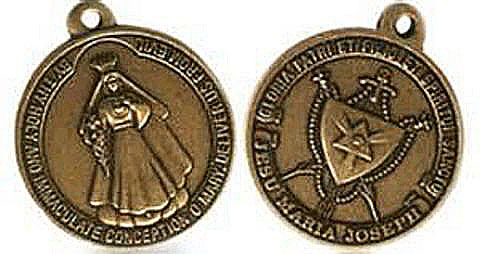 Bishop Liebold was so convinced of the authenticity of these messages that he officially approved her diary and the sketch of the medal that Our Lady had asked Sister Mildred to have struck: – Virgin Mary on the front; Christian family and Trinity on back. Our Lady in front of the church she requested for Washington D.C.